Closeouts. 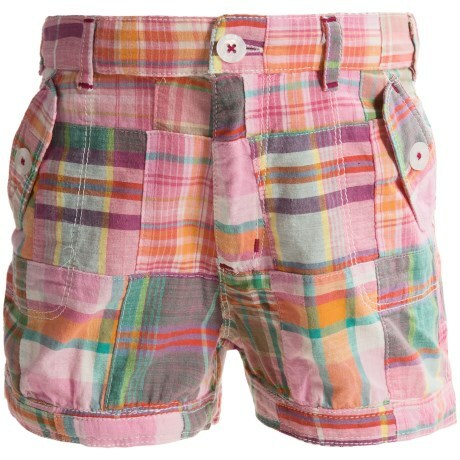 The cheerful Madras fabric of Hatley’s Pocket Bloomer shorts greets sunny days with a similarly bright disposition. Button details adorn the pockets and bloomer hem for some adorable style.